Lisa Appelo is a single mom to 7 and young widow. 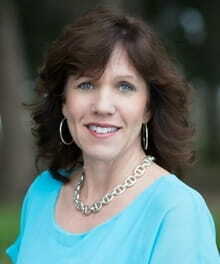 She's a speaker and blogger who shares soul-deep encouragement for the adventure of faith at LisaAppelo.com. She recently authored Countdown to Christmas: Unwrap the Christmas Story with Your Family in 15 Days.You can connect with Lisa on Instagram and Facebook. Last year, when I woke up the morning of February 15, I sighed and relaxed. I'd made it. Maybe you did too. I was not prepared for how hard Valentine’s Day would hit. But scrolling through my news feed on Valentine's Day was painful. My emotions were set to an all-day spin cycle with a mix of reminiscing and remembering, missing and wishing. Pictures of flowers sent, notes written, dinners out, jewelry given. Words about why she’d pick him all over again and why she’s still the one. True, I probably should have shut off all social media for the day but even Publix made it hard to ignore that everyone seems to have someone on Valentine’s Day. I made a quick run into the store for two things. Now, weekday afternoons at my neighborhood grocery store are usually pretty quiet and slow, with a few retirees or moms with a buggyfull kids running in for afterschool treats or before-dinner needs. Not yesterday. The store was buzzing with a steady stream of men hovering over the flowers and chocolates. The card aisle – usually the one empty lane good for a quick cut-through to the back of the store — was aflame in pink and red and lined with men hunting up that perfect card. Oh February 14, you mess with me. 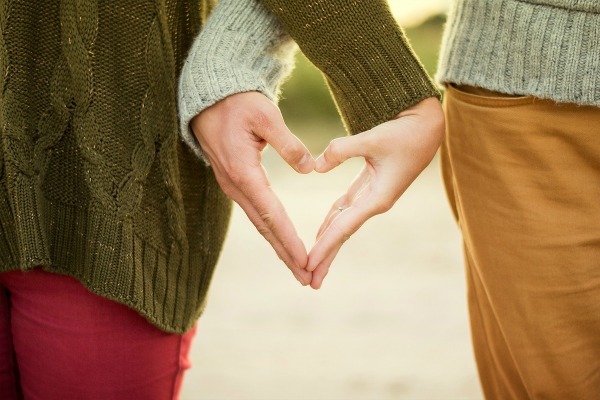 Valentine's Day is a sore reminder for so many -- of the relationship we no longer have or the relationship we dearly want or the relationship we're huring in right now. Thing is, I don’t want to do away with Valentine’s Day. I would actually be the first to cheer for marriage and for friends and family who’ve done the hard work of staying married. Marriage should be celebrated. I know what hard work marriage takes. It’s dying daily to self. It’s fanning embers of a once-fiery love in between night feedings and broken dishwashers. It’s saying I’m sorry a thousand times and accepting I’m sorry another thousand. It’s being committed to commitment when emotions threaten to undo everything. It’s allowing love to bend and widen, to soften yet harden, to flex and yet bind. Only in the ache of loss did I realize how each ordinary, fearful, hard, hilarious, beautiful moment can stitch two into one. I am not jealous OF marriage. I’m jealous FOR marriage. And so while that spin cycle has me remembering what I no longer have, I find myself smiling over pictures of those who do have it. I'm sure missing mine but I'm so very happy for theirs. So go ahead and post your wedding day throwbacks and anniversary tributes. Go on and gush over each other. You have so much to celebrate. Because you made it too. February 14 might mess with me. But I wouldn’t want to do without it. This post first appeared at LisaAppelo.com. If you’d like to receive encouragement delivered right to your inbox, subscribe here and I’d love to send you my free 100 Days with Christ as a thank you.